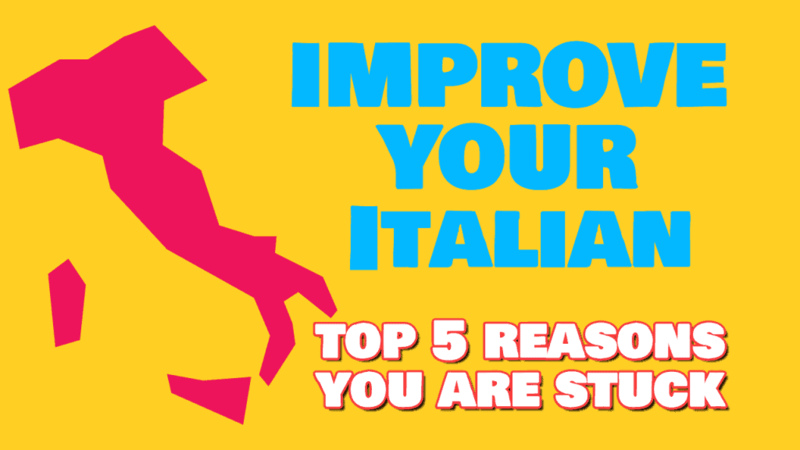 Improve your Italian Now. Yes you can. In this controversial video, I go over the top 5 reasons why you might not be as good as you think you should be after all the time and effort you put in learning Italian. This video is for students who have been studying for at least one year. Or sometimes two, or three, or ever four! By this stage, you should be DECENT at Italian (or any other language that uses the roman alphabet). You might also want to watch this video on dealing with the fear of speaking! To improve your Italian do the opposite of this, or, ever better, watch next week’s video lesson!